Science is the greatest achievement of human history so far. I say that as a huge admirer of the Renaissance and Renaissance art, music and literature, but the world-transforming power of science and the tremendous insights that we've gained show that this is an enterprise, a wonderful collective enterprise, that is a great achievement of humanity. How are we going to make more people party to that? That's a pressing question for our century. 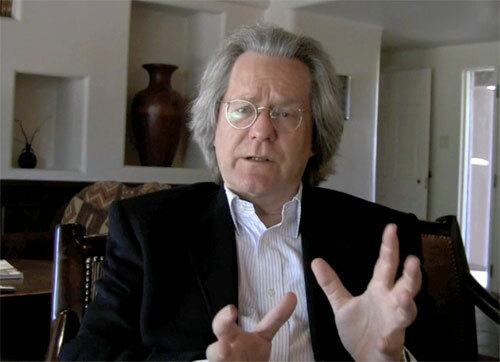 AC GRAYLING is Professor of Philosophy at Birkbeck College, University of London, and a Supernumerary Fellow of St Anne's College, Oxford. His most recent book is Ideas That Matter. I'm asking myself a lot of questions at the moment and I'll pick out a few that are really pressing. One is the problem about scientific literacy in contemporary society. There are huge things going in the sciences, both in fundamental sciences, like particle physics, and in the biological sciences, especially in genetics and in medical research involving genetic techniques. In both respects, there have got to be big changes in the way we think about the world and how we think about ourselves. And in the case of biomedicine, there are going to be differences to longevity, health and maybe even the nature of future human beings. Everybody's got to be a participant in this conversation about what's happening in science — trying to understand it, be informed about it — and to be a participant in deciding how we go forward with these developments. In order for that to happen, more people have to be more informed about science. We have a problem at the moment, which is that too few people go on from school to study science at university. The point here is not about making more scientists necessarily, but making more people who are competent to observe what's happening in science, to be interested in reading about it, to keep abreast of developments, to be excited by what is happening in science. And as responsible and informed citizens of this world of ours, to be part of the discussion about what we should and shouldn't do with our science. The big question in this respect is, how are we going to reorganize science education in school and how are we going to encourage more people to take more interest in science? And, indeed, to encourage more scientists to talk to the public about what they're doing in science and what they are thinking about. So the big question for me here is, how are we going to make science, which belongs to everybody, which is important to everybody, available to everybody so that everybody can be a party, in one way or another — whether as a spectator or as a participant — in this enormous adventure. Because, apart from anything else, science is the greatest achievement of human history so far. I say that as a huge admirer of the Renaissance and Renaissance art, music and literature, but the world-transforming power of science and the tremendous insights that we've gained show that this is an enterprise, a wonderful collective enterprise, that is a great achievement of humanity. How are we going to make more people party to that? That's a pressing question for our century. Starting right from the very beginning of grade school, finding ways of making science more accessible, not frightening people away from mathematics and physics, not making them think that it's all too difficult, finding ways of drawing them in and getting them engaged — that's one. Another big question for me, and I spend a lot of time thinking and writing about it, is the question of human rights and civil liberties in our world. We think of the Western liberal democracies as representing and embodying an achievement, which took off in the Enlightenment but by a process that began even before then of respecting individual autonomy, creating institutions which embody due process of law and respect individual rights, including rights to privacy, and which lead to a big margin of individual decision over important matters in life, like our relationships and where we live and the kinds of things that we do, protecting us from the power of the state, protecting us from the power of majorities who disagree with our own choices. These are very significant and central things. It's a remarkable feature of the Western world that by the second half of the twentieth century we came pretty close to a dispensation where individuals could regard themselves as free citizens of the world with a marked degree of autonomy. Tragically, because of terrorism and crime, and also because of the development of technologies which have enabled us to communicate with one another much more rapidly, but which have exposed our communications to watching eyes, whether they're state authorities or bad people, we've got a serious situation even in our Western liberal democracies now involving the attrition, the erosion, the degrading of aspects of our civil liberties. It's tremendously important that before that goes too far, we become alert to it and do something about it. We should get angry about some of the things that have happened, but in particular we should get energetic about protecting our civil liberties and trying to organize institutions and practices that protect liberties, and certainly awareness on the part of people to make them more vigilant about it. We see on the horizon China, which is a tremendous country, with a huge population, now one of the great economies of the world. Without any doubt, it's going be a superpower in the next generation or two. And it's tremendously important, therefore, that that country should be one which, like the best among the liberal democracies in the West at any rate, has built into it respect for human rights and for civil liberties. It doesn't at the moment; it sometimes tries to pretend that it does, but it doesn't have a good record in this respect. If it were to become an even more powerful player on the world stage, it would matter whether or not it did respect these things. Now is the time, too, to be having a conversation about that, thinking a bit about the future and trying to make sure that these frameworks for protecting individuals and communities are properly in place. My second big question, therefore, concerns how we are going to defend civil liberties and human rights. How are we going to expand interest and commitment to this? By the way, one footnote to this is that the United Nations, which back in 1948 adopted the Universal Declaration of Human Rights and then subsequently the great Covenants on Civil and Political Liberties and on Economic and Social Rights, has become a weak and compromised organization. If you look at the United Nations Council of Human Rights, which I have some involvement with, it's a body, which has on it a majority of states and countries whose human rights records are nothing to write home about. Another difficulty, too, is that our major international instruments are likewise compromised. Here is a great job of work to be done for anybody who's keen on the interest of individual human beings, and on the idea of good societies – on trying to make good societies so that there can be good individual lives in them. That's my second question. My third question is one which has much more to do with my own technical academic interests in philosophy, which have to do with the nature of consciousness and of experience and perception, thought and learning; indeed, in general with questions of the relationship between individual minds and their forms of cognition, and the domains over which thinking, experience, perception, memory and theorizing range. This is somewhat of a recondite area in philosophy, but of course it's an important one because it has practical applications, for example in thinking about how we would construct robots capable of doing some at least of the things human beings can do in dealing with their environments in a plastic and flexible way, so that they can learn from their environments and be adaptive to them. Trying to understand the nature of mind and mental processes, about consciousness, is a big frontier issue in philosophy of mind, in psychology, in the cognitive sciences and in the neurosciences. One thing we're witnessing today is that the walls between these different enterprises are coming down and they're influencing one another richly and fruitfully. My big question there is how do we further that process and what's going to come out of it? Because all sorts of surprising things are already becoming apparent as a result of the interaction between these disciplines. My final question is about the way we're going to be reading, communicating and reflecting in the future. At the moment, we're all very interested to know about the future in these respects. Not the future of the book specifically, although it has traditionally been one major focus for the reflective life – sustaining it, enabling communication between participants in it – because already we see the trend that there are different ways in which written content can be delivered to people who want it. Rather I mean the practice of reading, the practice of reflection, themselves; I mean the nature of what underlies our ability to be good conversationalists with one another, to be reflective and informed, to have a good knowledge of the classics, but also to be open to new ideas and new work across all the disciplines — history, the sciences, philosophy, and the literary arts. How are people going to relate to these things in the future, given that in the past this centrally involved reading and reflecting? This is an interesting question because in the past our culture has been one that depends tremendously on the written word, on literature in all its forms. If the way that the written word gets to people changes in ways that make people use it less, and this is a phenomenon becoming more widespread now — formulating ideas and communicating them in very compressed forms, as in text messages for example — that kind of phenomenon might make a difference to our cultural sensibility. So my next question is, how do we keep the best of the past while remaining flexible and receptive to this new world that our technologies are opening to us? Keeping alive the questioning, skeptical, fact-hungry, curious attitude towards the world that the best people in the past have exemplified. I think the example of the late nineteenth century working class man who taught himself to read the classics, who was inspired by them, and who went on to make significant contributions — this a story that repeated itself over and over again in the United States and in the United Kingdom and elsewhere, and one would like to think that that kind of excitement, that kind of self-discovery and self-making, will continue even in a society where the way it used to be done, by somebody taking a book off the shelf, is no longer the norm. You sometimes see the comment made, and it's a good one, that the experience of encountering texts, information, opinion and data is very different in current technologised forms as against the way it is when you read a book, or you go and browse in a book shop. There's a good point here — it's true. You walk into a book shop to buy a book, there are a whole lot of other books that, you stumble across, and you may even buy one of them. When you pick up a book, you browse it, you go backwards and forwards, unexpected things happen. Serendipity plays a big part in the education of an individual who loves to read. Now when you go to a technological device, you've got to be targeted. You've got to go to the thing you're looking for, and it's not all that likely that you're going to stumble across things that just come out of left field and interest you in the way that happens when you go into a bookstore. For example, you go online and click on a topic, and what the search engine provides you with is alternative stuff about that topic. But not about topics that you didn't even expect to find that time. Skeptics about the new technology rightly alert us to the fact that this changing relationship between the mind — one's own mind — and the texts that one comes across will have this new feature, and there is something to be regretted there. This year, 2009, is the 50th anniversary of the celebrated lecture given by C.P. Snow, a scientist and a novelist, and a civil servant — he was a government official in Britain back in the forties and fifties. On the ninth of May, 1959, he gave a lecture in Cambridge, the Rede Lecture, called "The Two Cultures," in which he said that humanistic culture, literary culture, on the one hand, and scientific culture on the other hand, had diverged very far, and that there was a mutual lack of comprehension across the resulting divide, mainly, of course, from the direction of the humanities. An additional problem was that so many people in positions of authority in society — members of parliament, ministers in the government — had been brought up in the humanities and didn't really have much of a scientific background at all, so they didn't really understand what was happening in the sciences. There's an old saying in the culture that C.P. Snow came out of, "let's have the experts on tap, not on top". They didn't want to have the scientists in government or in the civil service system with them unless, like him, they were people who were also recognizably of their own cultural kind so that therefore the MP's and others could feel comfortable with them. Snow accordingly decried this diverging gap between the two cultures. In the 50 years since Snow gave that lecture, that gap has widened far, far, far more. Yet it's still the case that people who make decisions about funding policies — the people in Congress, the people who get into presidential office — tend not to be scientists, they tend to be people who have come out of the humanities or the law. The problem identified by Snow has worsened. What are we to do about that? Well, I repeat a point that I make often, which is that the only way to bridge this divide is to increase literacy on both sides. The real urgency is increasing literacy about science on the humanities side, for those people, but it's a two-way street. Because scientists also need to realize that their responsibility to society at large places upon them a duty to talk about what they're doing, to explain what they're doing, to inform people about it. There should be interaction. This is the only way that the divide is going to be at least bridged, and of course in the ideal ultimately it would be closed. Almost every generation thinks that it occupies the time when things are not quite as good as they were in the past. It's a very common for people to think that the world is a much less safe place than it was when they were children, but that's because of course a child's experience usually is that the world is indeed a safe one, being protected and organised by parents. From the point of view of culture, and in particular from the point of view of British culture, a lot of visitors to the United Kingdom say how surprised they are by the unpleasant, rather raw nature, rather degraded and superficial nature of popular culture in the United Kingdom. The tabloid newspapers, the popular magazines, which are all about “celebrities”, which are all about a certain kind of voyeurism — they hunt in packs, the tabloid press, chasing after people, first to extol them and then to tear them down when they're up. And that there's a presumption that if a nail sticks up, it's got to be hammered down, so anybody who's a bit special in society or sticks out in a certain way is likely to get a hammering by the tabloid press. There is something rather sullied and sterile about popular culture in the United Kingdom. At the same time, it's always been the case that high culture flourishes in the United Kingdom — publishing, opera, ballet, music, the art scene — particularly in London, and London unfortunately, rather like Paris in France, does absorb a lot of the cultural oxygen in the country. Although other major centers, such as Birmingham, Manchester and Edinburgh, do make a contribution here, which is an important one. But high culture continues to flourish. Even despite the repeated efforts by people who are not very sympathetic towards high culture who say, "Why should society be funding high culture for high-brows? Why should the government be giving a subsidy to two opera houses in London?" But despite that, all you have to do is go to an exhibition, let's say at the National Gallery in London, and you can hardly get elbow room to see what's hanging on the walls because even though high culture is an avocation for a minority of society, that minority in absolute terms is growing all of the time. There remains a very energetic, very vigorous cultural life, mainly in the capital but all around the country, which is a resource for people who care about those things and who may be dismayed by the way that the popular culture has become so lowest-common-denominator. As regards this latter, I don't think that the United Kingdom is alone in being this way, but it is pretty marked and it is pretty distressing for people who come from time to time to visit. One thing we've witnessed in our times, of course, is the bad-tempered quarrel between the religions on one hand, and on the other hand those people who are not interested in or who are indeed opposed to religion. Some people say that one aspect of this is that religion is experiencing a resurgence, that more people are once again becoming interested in it. I just don't think that is the case. What is happening is that the amplifiers have been turned up a lot by people on the religious side of this discussion because they feel under threat. This has happened in history before; there are precedents for this. One goes back to the sixteenth, seventeenth century when the Reformation occurred and the consequence of that was the Counter-Reformation, the effort made by the Church of Rome to recover its hegemony over Europe. That was a bloody and painful hundred years, and the tumult made it seem as though the only thing that mattered at that time was religion. Now when we look back across the landscape of history, we see that a lot more important things were happening at that time than that religious quarrel — the rise of science, the great literary efflorescence in England and in the rest of Europe. What we learn from that is that when religious people feel under threat and under pressure, they turn up the volume and they fight back; it's the cornered-rat syndrome. What we've seen in the last few decades is this. We've seen globalization impacting areas of the world and putting traditional views under pressure, not least in predominantly Muslim areas of the world, where traditional conservative values are threatened by the much more open kind of society in the liberal West, which exports attitudes and practices disagreeable to traditional societies. You can imagine, for example, a conservative, traditional Muslim father of teenage daughters encountering an American movie with girls in bikinis, and becoming very worried about what effect that might have on his daughters; and you can sympathize with the fact that that is a problem and an anxiety for him. You can also see how, therefore, young men, especially in countries where there might not be enough work and few other outlets – segregated from girls, notably – are angered by this, angered by the difference between their own culture and others, and feeling under threat. And the result has been a ratcheting-up of the rhetoric, of the heat of the rhetoric. At the very margin, of course, at the extreme, there has been violence. But generally speaking, this is not a violent phenomenon; this is a phenomenon of quarrel, of tension. But Islam is a Western religion, too. It's in Europe, it's in North America. When Muslims in England became activist on behalf of their own community, making demands of the host community to be treated equally with other religious communities, what happened was that Hindus and other Christian groupings all wanted to do the same. They all came jostling together into the public square demanding tax funding for faith-based schools, representation in Parliament, dispensation from anti-discrimination laws. And so on and so on. This angered secularists who didn't want to see a recurrence of inflated religious influence in society. In the closing decades of the twentieth century, people didn't talk much about their religious faith if they had it , and if you were a secularist and you met somebody with a religious faith, as a matter of taste you likewise didn't talk about it. But after 9/11 especially, there was a watershed. A polarization occurred. People on the secular side of the discussion were just not prepared to pussyfoot around and to "respect" people who claimed a faith, and to give them an extra bit in the sunlight because of it, without some challenge, without a discussion about why they were entitled on the basis of that claim. Religious people have for a very long time said, "Respect me because I believe something." Now secularists are saying, "Why should I, especially if it's a belief in something that I don't share or that I think is challengeable?" That's my diagnosis anyway of how this quarrel has come up and also my diagnosis, too, of this being a phenomenon of amplification of the quarrel, not of resurgent numbers. Because we know that everywhere in the West, even in the United States of America, the number of people who lay claim to being religiously observant is decreasing. What are we going to do about this problem now? Well, our main challenge at the moment is how we manage this situation, how we live together and cope with the difficulty of having this bad-tempered quarrel going on. We have to try as hard as we can, people on the secular side of the argument, in a calm consistent and well-informed way, to keep this discussion going and to talk about how we're going to encourage younger people, for example, to think critically, to think for themselves, not to accept things on authority, not to take the easy option which is the quick simple story that a religion can tell you, but to do the work that's required of understanding things scientifically and with deeper insights. In the course of this quarrel between religion and people who have a non-religious outlook, one factor is that there are certain religious lobbies that are well organized and well funded. In the United States, for example, the religious Right has television stations, radio programs and publications, and it has lobbyists in Washington, and it's been able to state its point of view very cogently and powerfully for a long time. Whereas people, and there are many of them — 30 million or so in the last Pew poll — who self-describe themselves as agnostic or atheists or who have no religious commitment, are equal to just one person because they're independent and they think for themselves and they haven't got together to fund television and radio stations. Now in amongst all this, there is the following phenomenon. You get organisations like the Discovery Institute in Seattle, which is well funded and pushes the Creationist/Intelligent Design line. And you get institutions like the Templeton Foundation, which is wealthy and offers a very big money prize — more valuable in money terms than the Nobel Prize — and offers it to anybody who will, in effect, make it seem that religion and science are perfectly respectable bedfellows and even, indeed, that science supports some religious claims. If you think about this, people who do work in science in universities and elsewhere are not paid like bankers on Wall Street. You can imagine that just to say something, even if you don't really have a religious belief, to be friendly towards that point of view, you may end up with a million dollars. That's like bribery. That's a corrupting influence in this debate and a very bad one. Just recently, somebody who is both a physicist and a religious person, John Polkinghorne, wrote a book trying to show that religion has answers to scientific questions. He launched this book on the premises of the Royal Society in London — not sponsored by the Royal Society, but because he was a fellow of the Royal Society before he became a priest, he was able to ask if he could do this on Royal Society premises. It seemed to me that that was a very bad thing for the Royal Society to have done. It shouldn't have given any kind of imprimatur to this. The Royal Society is the one major institution for science in the United Kingdom, yet there are hundreds of church halls and other places where a book of that kind could have been launched. The Royal Society accepted money in the recent past from the Templeton Foundation for research projects. They've ceased to do so now. I used to write a column for the New Scientist magazine, which ran some Templeton ads until we complained about it. They have I think stopped doing that now. This is a mere corner of the larger debate at the moment, but an important corner because here is an institution, Templeton, which is using large sums of money to try to insinuate ways of thinking and talking and certain tendentious ideas into an enterprise — the enterprise of science — where they don't belong. There are other formats for religious opinions. One should not, in an open and liberal society, seek to silence them. They've got a right to say what they want to say, but without muddying the waters. I got interested in science in a way that might be regarded as a bit unusual. There are some philosophers who come out of science — did physics, biology or maths degrees — who are very knowledgeable and who work in the history and philosophy of science, bringing insights, for example, from the neurosciences into the work that they do in the philosophy of mind and cognitive studies. But for my own part, the story is this. I was educated in the British tradition which very early made people choose between the humanities and classical languages, on the one hand, and on the other hand, the science subjects. There had always been an implicit snobbery involved here that the clever kids would go on to the classical side of school and the ones with dirt under their fingernails and who didn't mind smells and bangs would go on to the science side of school. You were channeled, really without much discussion about what you wanted to do, into one or the other of these lines. I went on to the classical side of school and straight on into the humanities. But I quickly realized, just because of being something of a reader and having a lively curiosity, that this meant that I was missing something tremendously important. So I started to read in the sciences. Now the fact is that out there, and for a number of decades, there have been wonderful resources for people who don't have a professional scientific background or training in science, but which nevertheless give them some insights into what's going on in the sciences. The more you read, the more you interested become, the more you want to try and equip yourself with a bit of technical competency so that you can understand yet more; so you read more. And in very many ways, being an autodidact in this respect is a boon because you don't go through the process of early on being told what to think about things. You're doing it on your own. So I became passionate about it, recognized the tremendous importance of being as literate as one could possibly be as a spectator of science, and the importance of keeping up that interest. And more especially to get involved, to get involved in the discussion with scientists about what they are doing, what they are thinking, why they are doing it, where their work is going. Being involved in that kind of way, too, is a powerful continuing incentive to keep learning. This plugs into another thought I have, which is that the education that we get in grade school and college is really just the first step out of many thousands of steps that we ought to take in the lifelong process of teaching ourselves, of being educated by what other people are doing, what's happening in the world; being educated by staying intellectually alive, staying alert to everything that's going on out there. This is the imperative; this is what we should all be deeply engaged in, always.